This article will show you how you can send SMS using SMS API using c#.net in asp.net. 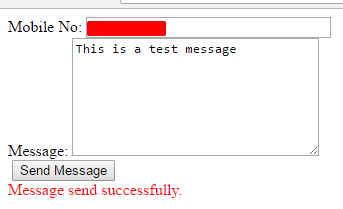 In this I have used HttpWebRequest for communicating and receiving response from the SMS server. So first we will create a new asp.net application and a page. 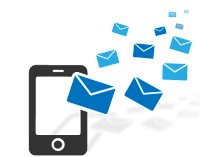 In this page add the below code control for mobile no and sms message. Now check the code to send the SMS. Here in above code I have user a dummy API key. In this you need to use your own API detail for successful execution.